Seminyak is renowned in Bali for its luxury resorts and beaches and in this luxury Bali holiday you’ll get a chance to unwind but also to explore and learn about the country. 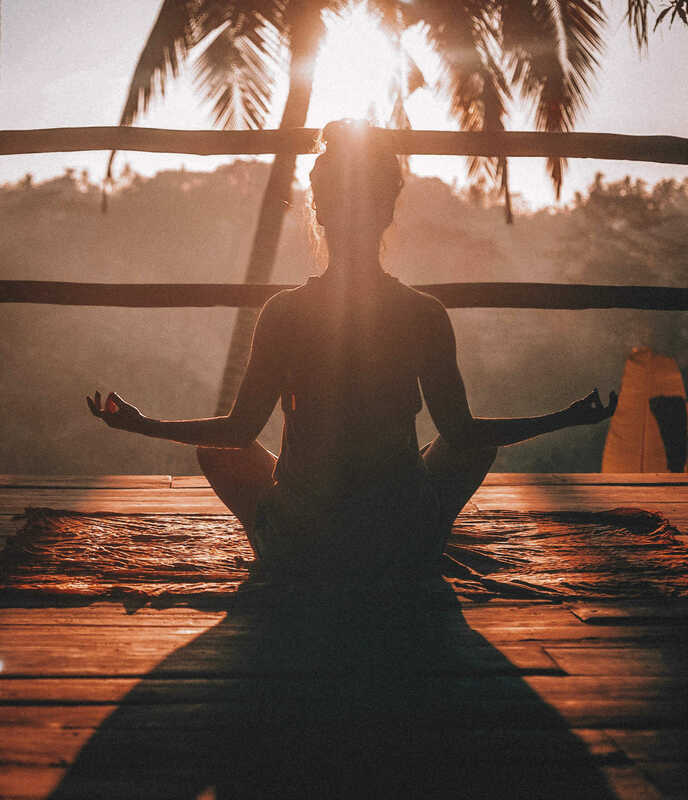 Staying in one of the best beach resorts in Bali, you’ll visit a renowned Balinese healer as well as then having the opportunity to enjoy two hours of pampering and spa treatments followed by a yoga class. As well as exploring Seminyak’s culinary scene, you’ll also have the chance to experience many of the wonderful landscapes and scenery including a visit to the world famous Bali rice fields. Upon arrival into Bali, your driver will meet you at the airport and take you to the beautiful Seminyak which will be your base for the next few days. This afternoon, you will be picked up to visit the Pura Uluwatu, one of Bali’s most impressive temples. Uluwatu Temple is majestically perched on the edge of a steep Cliff. At sunset you’ll witness the dramatic Kecak performance at the temple which is not accompanied by music but the steady chant of the male performers. Following the dance performance, drive down to Jimbaran area and enjoy your dinner in Bali at Sundara Beach Club by Four Seasons at Jimbaran Bay. This morning, you will be driven to Sukawati village for a semi-private visit with Prince Cokorda Rai, the 82-year-old internationally renowned Balinese healer and part of the Royal Family. Observe his healing sessions with local Balinese people. Doctors, psychologists, health professionals and others in the medical field make special trips from around the world to study and observe his “masterful powers and brilliance”. Next, visit the Sebatu temple for a purification ceremony led by the temple’s priest and a spiritual guide. Drive to Bagus Jati restaurant for a late healthy organic lunch which you’ll enjoy with the stunning view. Following lunch, enjoy a 2-hour spa treatment, starting with a foot bath, an hour Balinese massage, a herbal bath, Balinese Body mask “Boreh” and a banana leaf wrap followed by a facial and head massage. After pampering your body, it’s time to refresh your soul with an hour yoga class before heading back to your hotel. Today you’ll be driven through small villages and incredible landscapes, stopping for pictures and learning about the islands’ culture, flora and fauna. Our specially-designed routes are timed so you arrive at the major sights before the crowds get there and meet local people at markets and traditional village compounds. First stop at the UNESCO Heritage listed Taman Ayun temple. It was built in 1634 to serve as the Royal family temple of the Mengwi dynasty. The temple is a truly stunning piece of historic architecture, surrounded by a moat with multi–roofted Meru shrines and intricately carved wooden gates. After visiting Taman Ayun, continue through the beautiful countryside and little villages with an uphill drive to Bratan Lake which is located at 1200m above sea level. This volcanic lake is surrounded by some of the most spectacular views on offer before you’ll take a walk to the water to the famous Ulun Danu Temple which sits on a small island on the far shores of the lake. Explore the colourful market of Candikuning. Afterwards we drive you through some of the most beautiful rice terraces in all of Bali before you enjoy lunch at Bamboo Forest Restaurant, a fabulous restaurant located the middle of a tranquil rainforest at slopes of Batukaru Mountain. This is a relaxing setting for a traditional Balinese lunch. Cap off your meal with a locally-grown mountain coffee with cognac before your departure for a light trekking in the Jatiluwih rice terrace. Listed as a UNESCO Heritage site, your guide will explain the incredible irrigation systems that allow the people to harvest rice up to four times a year. Finally, you will visit Bali’s most famous sight, the sea temple of Tanah Lot. Located on a barren volcanic rock in the ocean, the temple is sometimes pounded by huge waves: a magical setting. The Seminyak strip and the hip Petitenget area has for a long time been the place to be when comes to dining and nightlife in Bali. Get ready for a night of surprise venues and dishes. When sunset turns the sky into an array of colours, a stylish rooftop bar is a great place to start the evening enjoying the spectacular view over the long bay with a cool cocktail. After the sun has sunken into the ocean and while the surfers catch their last waves, continue to a chic eatery that combines well contemporary international and traditional Indonesian themes. A healthy starter is served while outside on one of the busiest streets of Seminyak, people are flocking to all sorts of dining venues. The next stop on your culinary crawl after a short ride in the car will be a wooden Javanese Joglo house, where the main course for this evening is served. So-called Nasi Campur, tapas-style Indonesian dishes are served around a rice pyramid. The final destination is a stylish lounge, where a sweet dessert is already waiting to be enjoyed while lounging by illuminated rice fields. There is the choice between either heading back to the hotel for the night or remaining in the area for further exploring on your own. After a day to explore further or relax, today you’ll check out and be driven to the airport for your onward flight.